BlackBerry OS was introduced in 1999. Its main feature was instant e-mail delivery using Push-technology. High quality and security made BlackBerry successful among business people and companies. The platform is based on Java, known for its scalability and security. 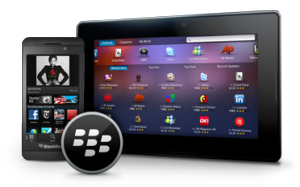 BlackBerry OS provides back-end integration, end-to-end security and Push-based wireless applications. Offshore BlackBerry application development is a part of the Appz Mobile activities. We create mobile software based on data security and performance. Through BlackBerry application development we enable devices to fulfill the most relevant corporate demands. On the other hand, we consider the recently taken direction – making BlackBerry more social. These two sides unite in the latest tenth version of the platform. Here BlackBerry mobile application development takes a new turn to a niche waiting to be occupied. A BlackBerry application development company takes your idea to create a product that will perfectly serve its intended purpose. That’s the principle of our work. A cost-effective solution to outsource BlackBerry development must be supported by a proper way of carrying out. For us that means constantly tracking new features of the platform, and keeping in touch with you to reach the quality and precision of your mobile software. integration into enterprise software and business phone systems.